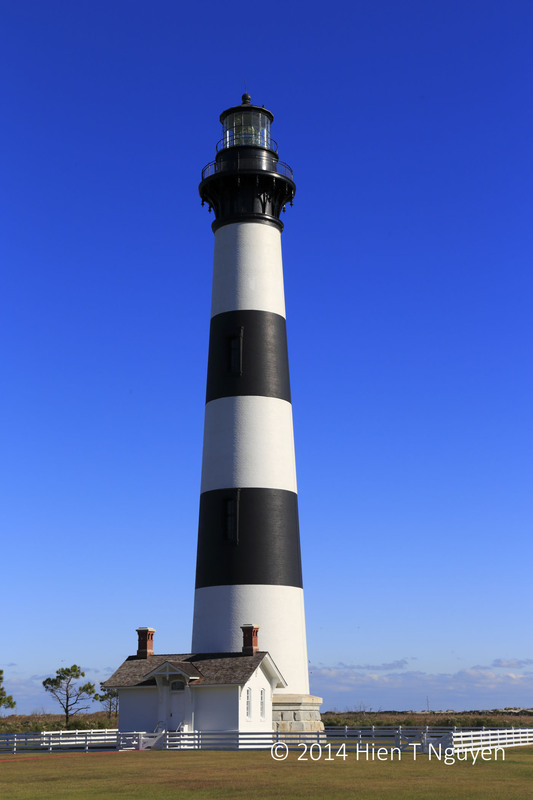 In response to Catherine Johnson‘s request, I am posting more photos of lighthouses. 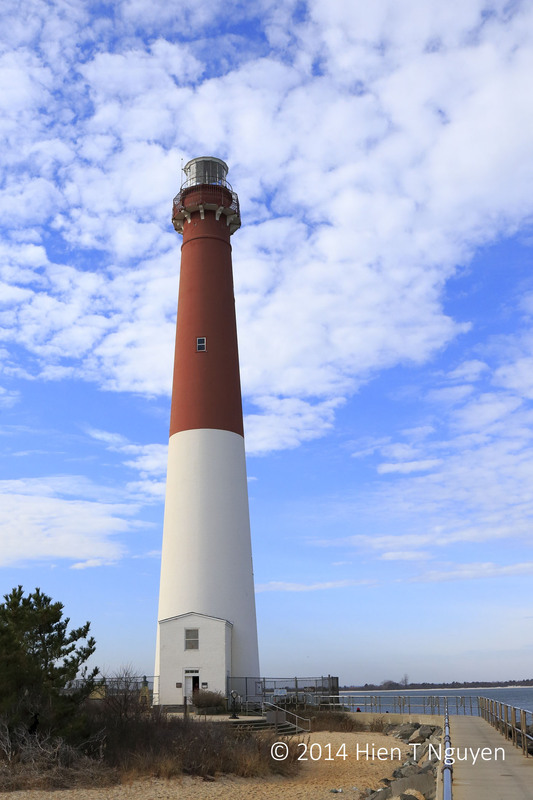 Closer to home, for me, is “Old Barney” at Barnegat Light, NJ. 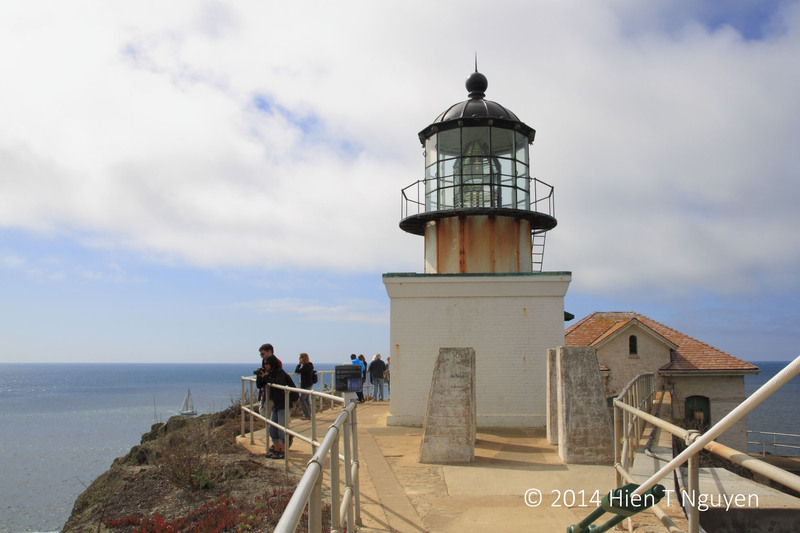 Point Bonita Lighthouse is on the San Francisco Bay, near the Golden Gate Bridge. 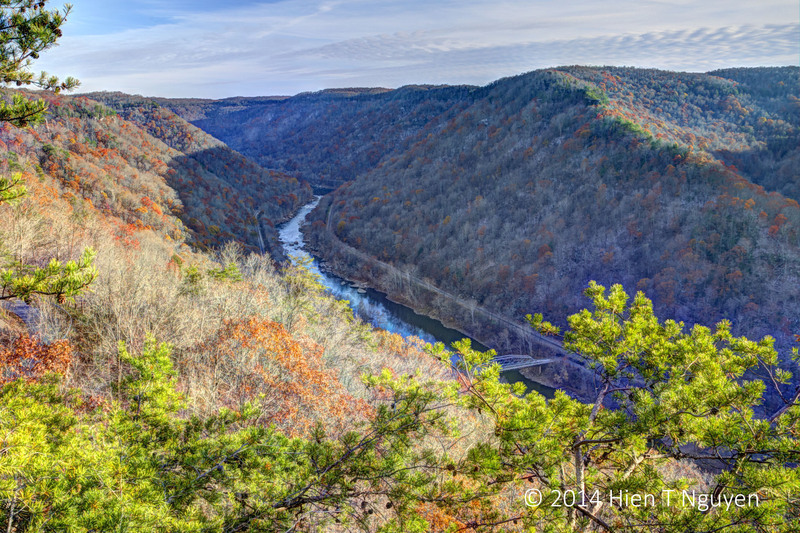 My entry for this challenge are the following photos taken two weeks ago of the New River Gorge bridge and the New River itself in West Virginia. 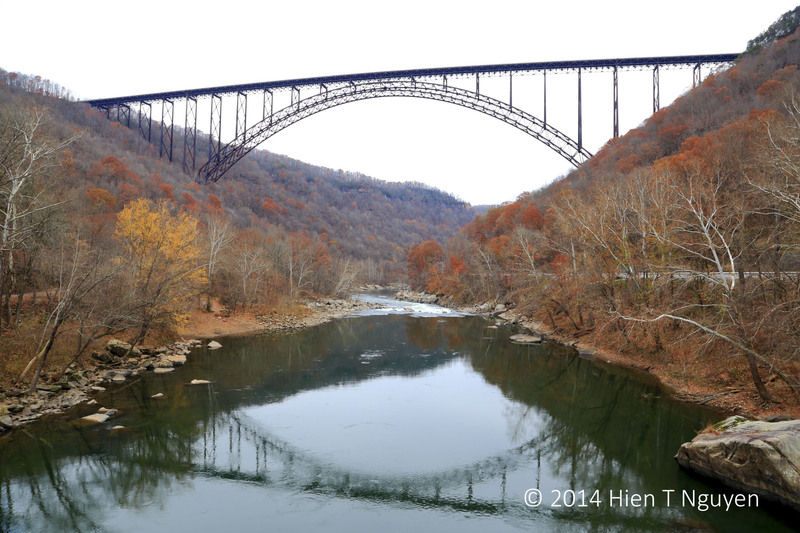 The bridge is one of the longest single-span steel arch bridges in the world. The New River is actually the third oldest river in the world, and is estimated to be between 260 and 325 million years old. The early European settlers of the area did not know that it existed and when they found it in 1671, they named it New River. First of all, Happy Thanksgiving, or perhaps just an extra happy day for those outside the United States, to all who have been following this blog over the past two years! 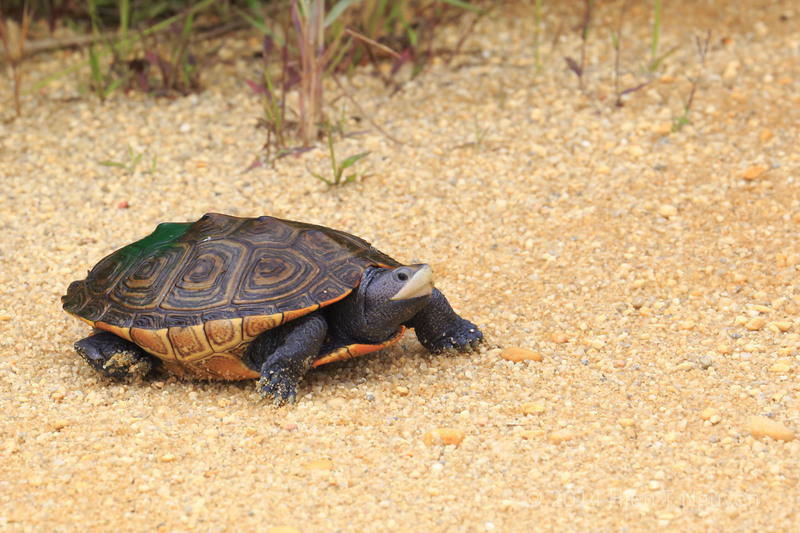 The Outer Banks in North Carolina are about 200 miles long from north to south in the Atlantic Ocean. 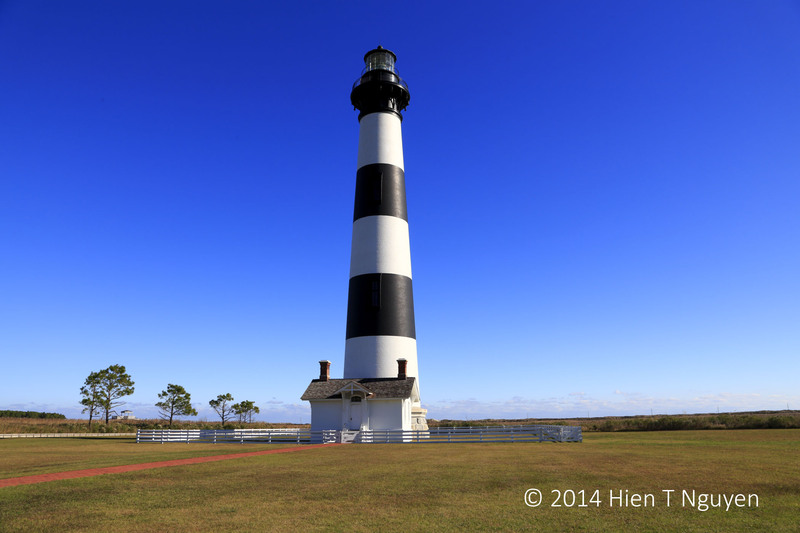 There are five lighthouses located on the islands, or six if you include Cape Lookout lighthouse at the southernmost end. 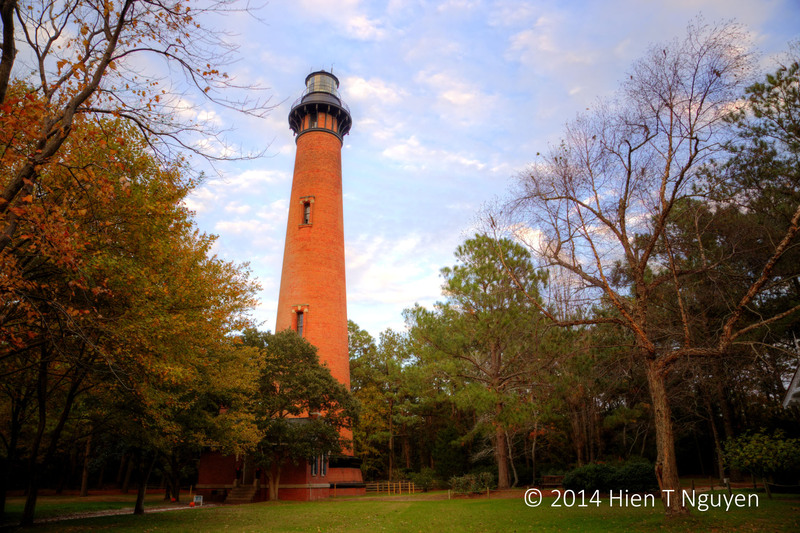 Over a day and a half, we managed to visit four of the lighthouses and take the following photos. 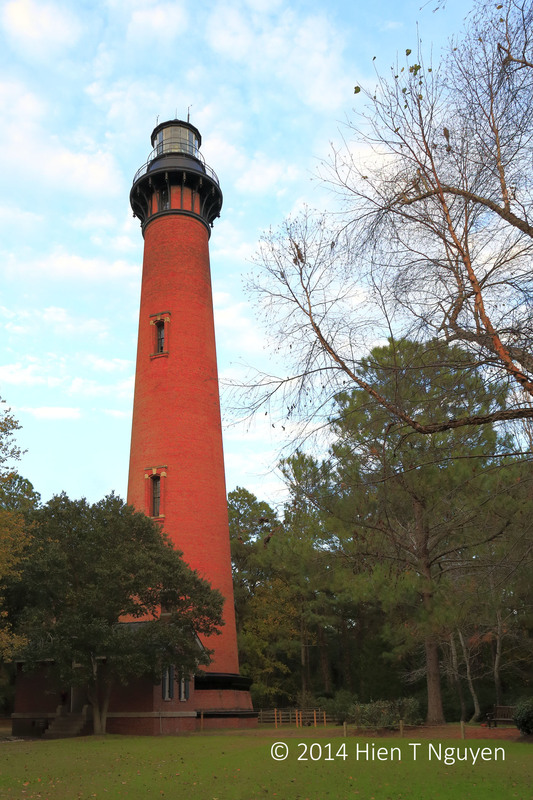 The Currituck Beach Lighthouse in Corolla is not painted on the outside like the others. 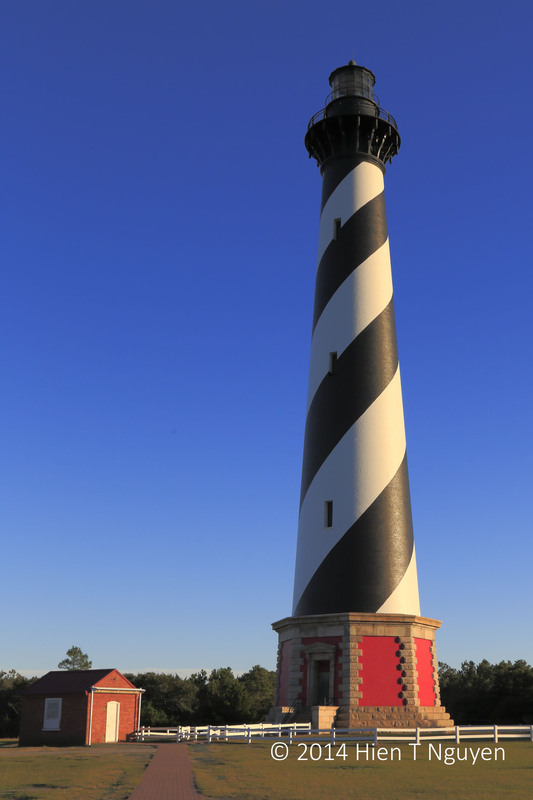 It is 162 ft tall with a beacon that can be seen 18 nautical miles offshore. 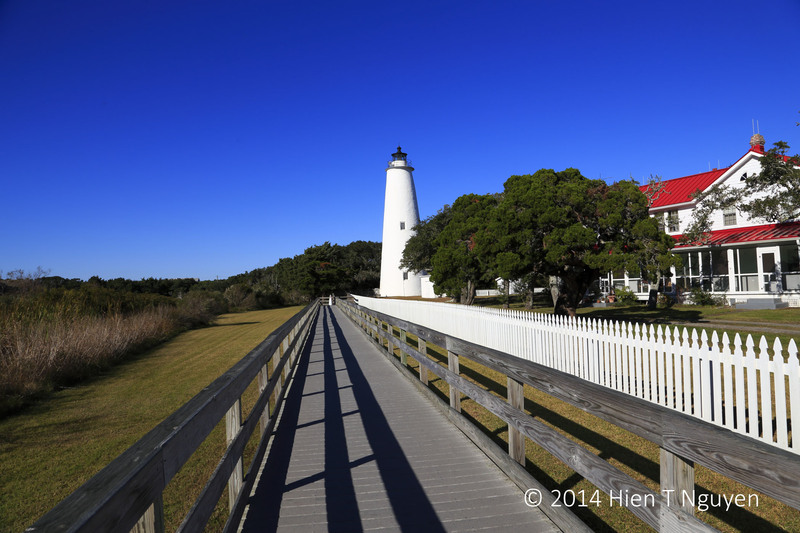 The Bodie Island Lighthouse is 156 ft tall, with a light visible for 19 miles. Near this lighthouse on the left is where I took pictures of the Tundra Swans in a previous post. 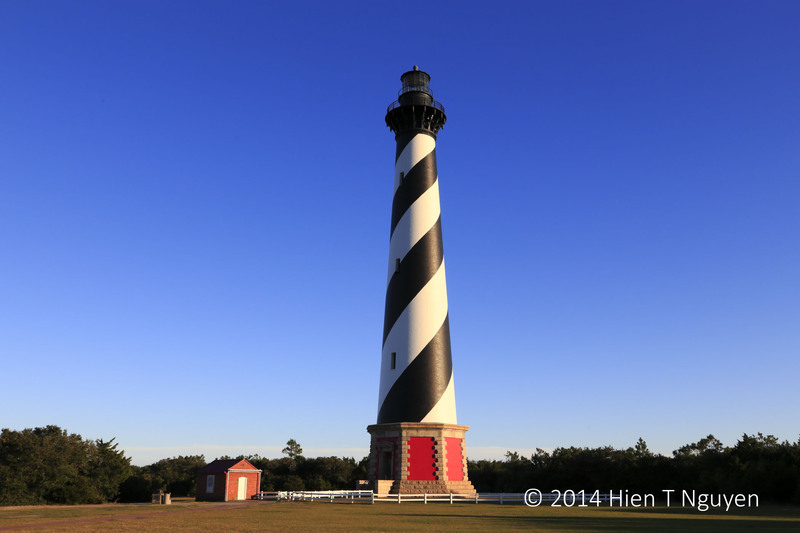 The Cape Hatteras Lighthouse is the world’s tallest brick lighthouse at 208 ft. Up close it was very impressive. Its light can be seen 20 miles out in the ocean. To reach the next one, we had to take a ferry, which was free, to Ocracoke Island. 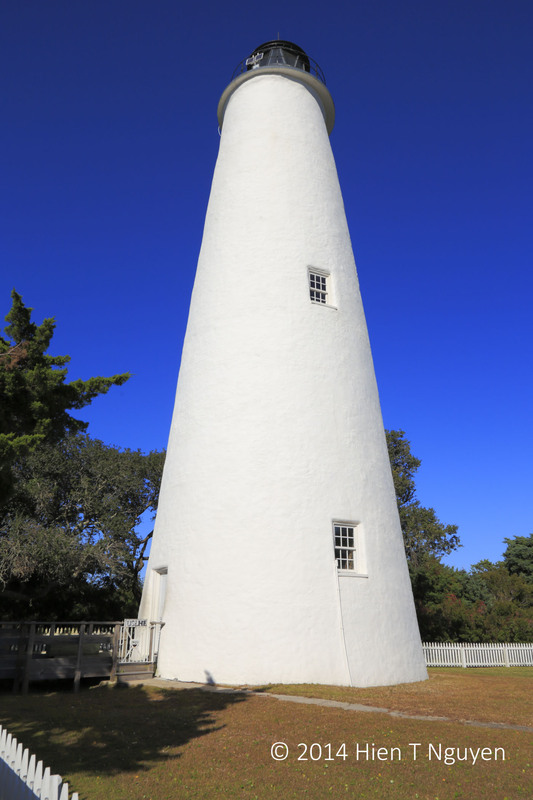 The Ocracoke Lighthouse is the second oldest in the United States and is the smallest of the Outer Banks lighthouse, with a height of only 65 ft. Its beacon can still be seen 14 miles out. 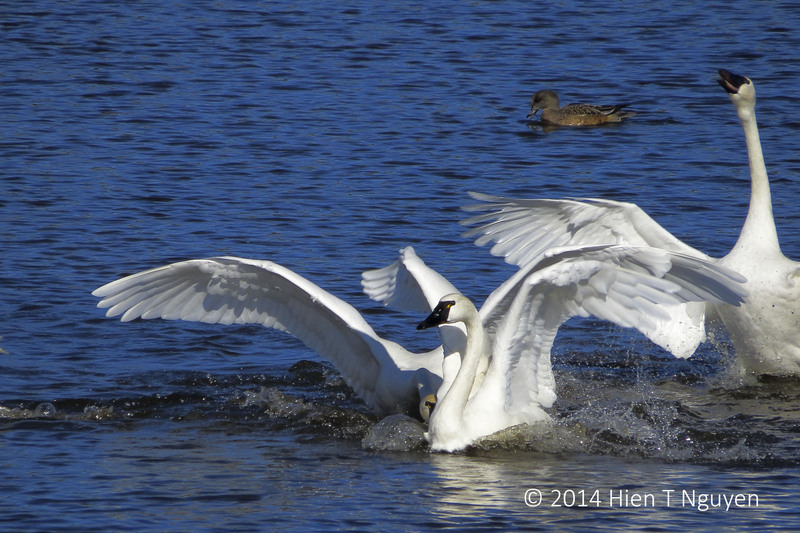 Tundra Swans summer near the Artic Circle, but in the fall and winter they migrate to the East and West coasts of the United States. They are also called whistling swans to differentiate them from trumpeter swans which look very similar but produce a more nasal honking sound. 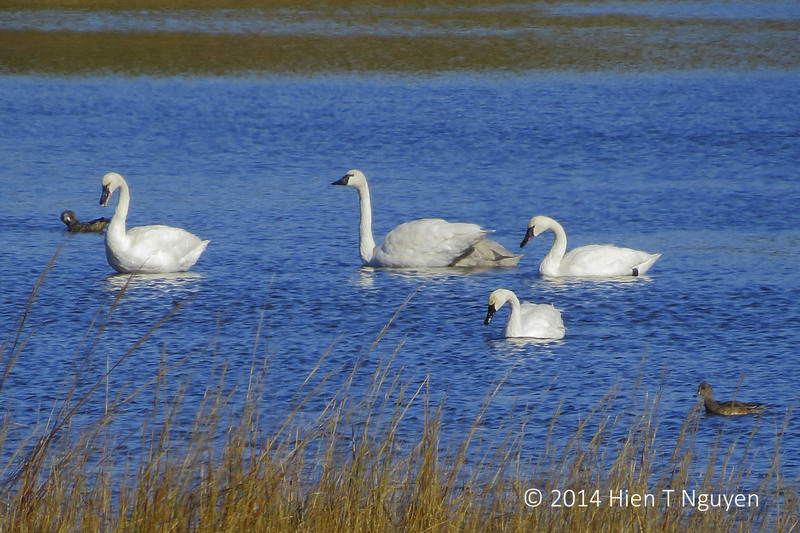 I found a flock of Tundra Swans near the Bodie Island lighthouse in the Outer Banks. 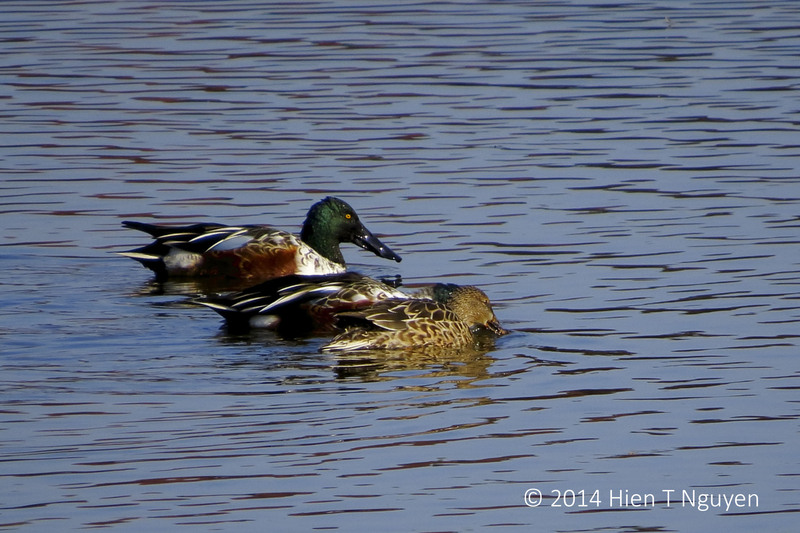 They appeared mostly peaceful, mingling easily with wigeons. 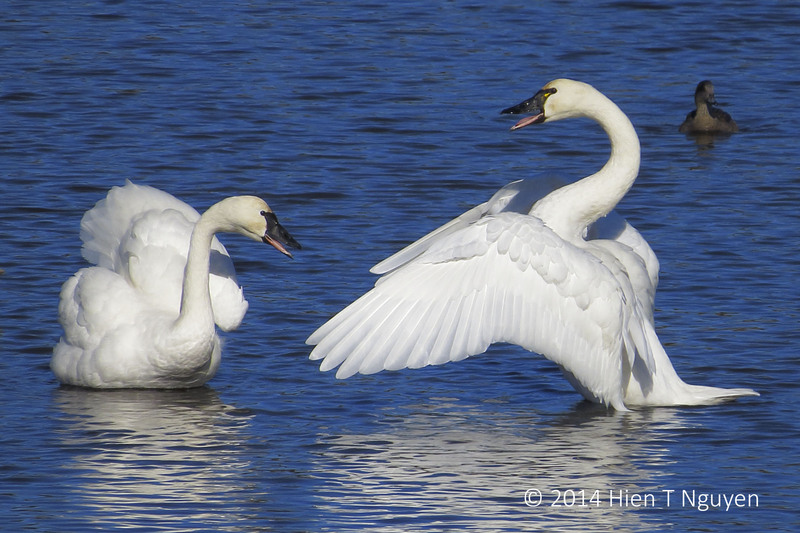 Their necks were shorter than those of mute swans, but they were still very graceful. 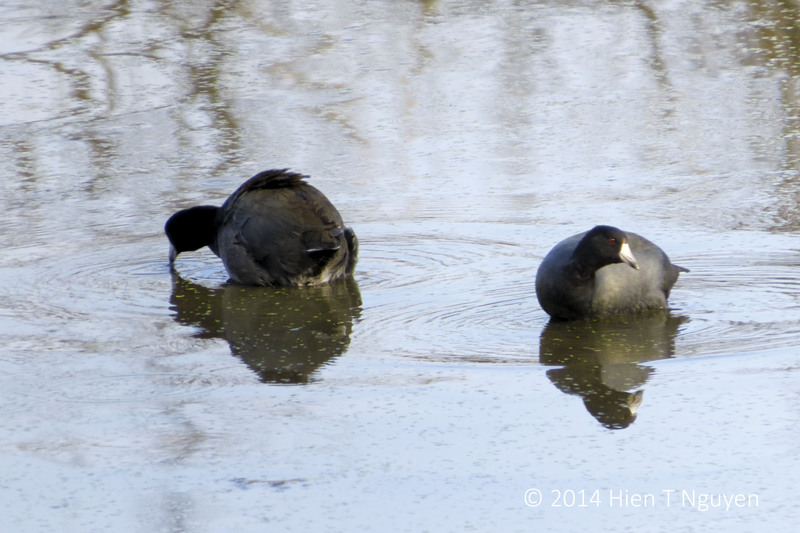 There were the usual territorial or mate quarrels, as you can see in the following two shots. 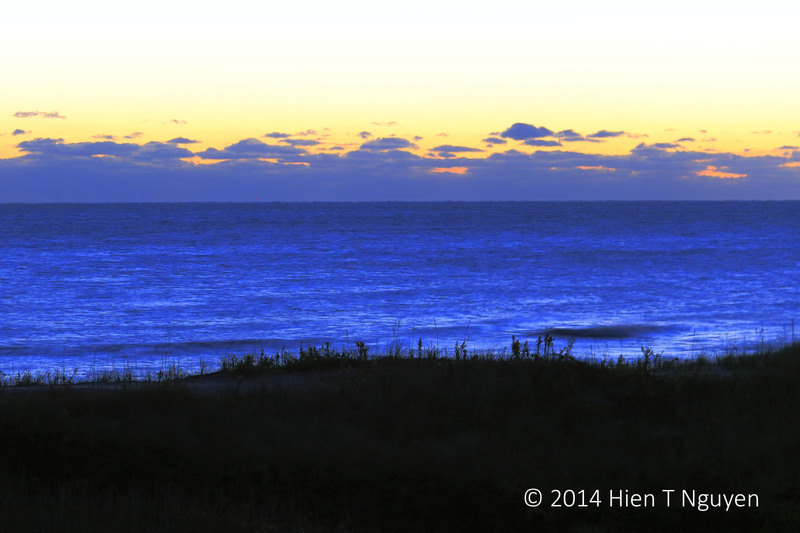 We arrived at the Outer Banks in North Carolina last Tuesday afternoon. 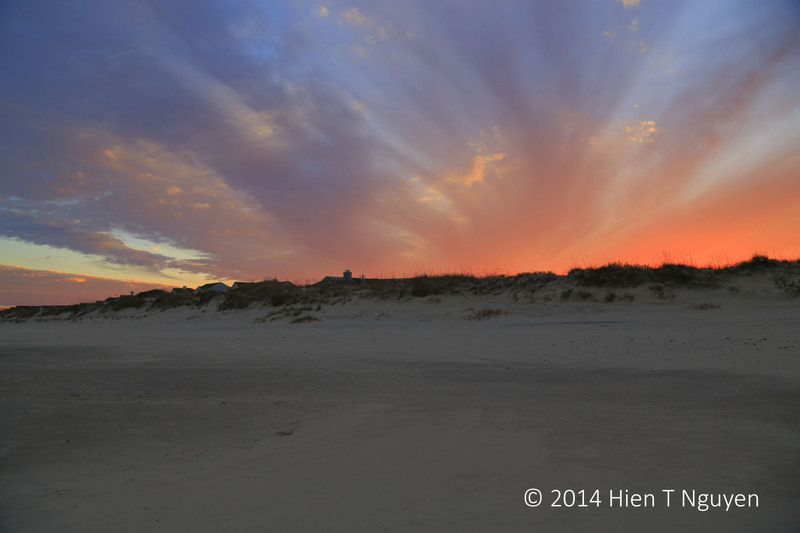 After a quick bite, we just had enough time to go catch the sunset, captured in the following photos taken near the town of Corolla, NC in Curituck county, at the northernmost end of the barrier islands. 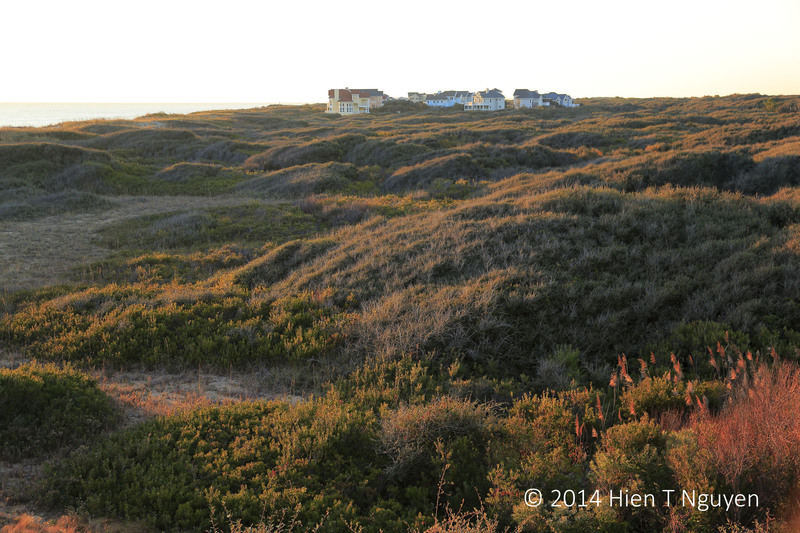 This is looking from the beach, where wild horses are said to roam, toward the Atlantic Ocean. 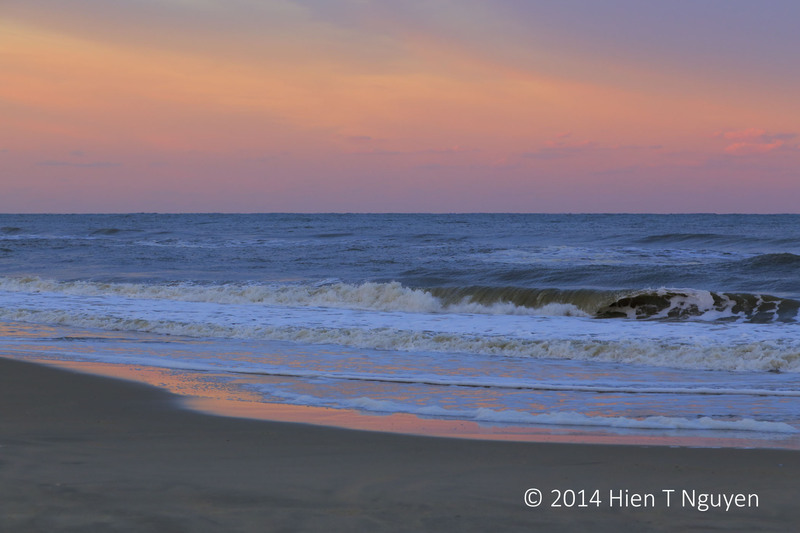 We did not see any horse, but were amply rewarded by the sight of the waves and colors of the deserted beach. 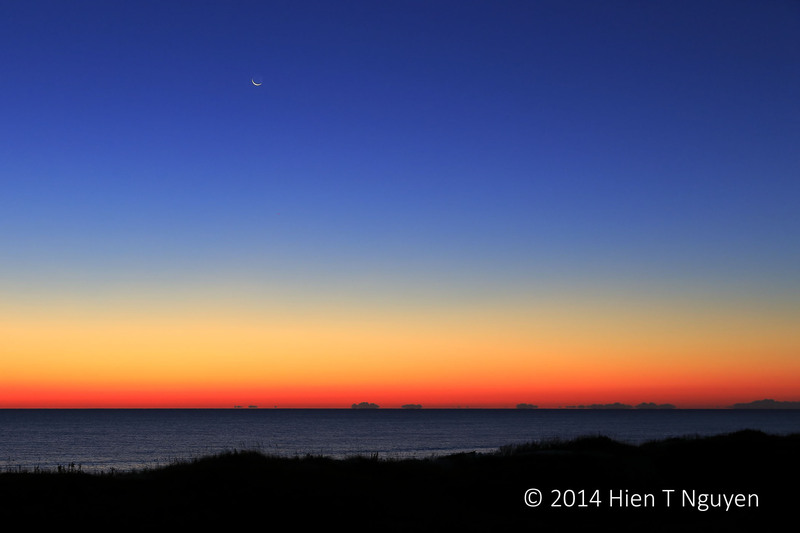 Outer Banks beach north of Corolla, NC. 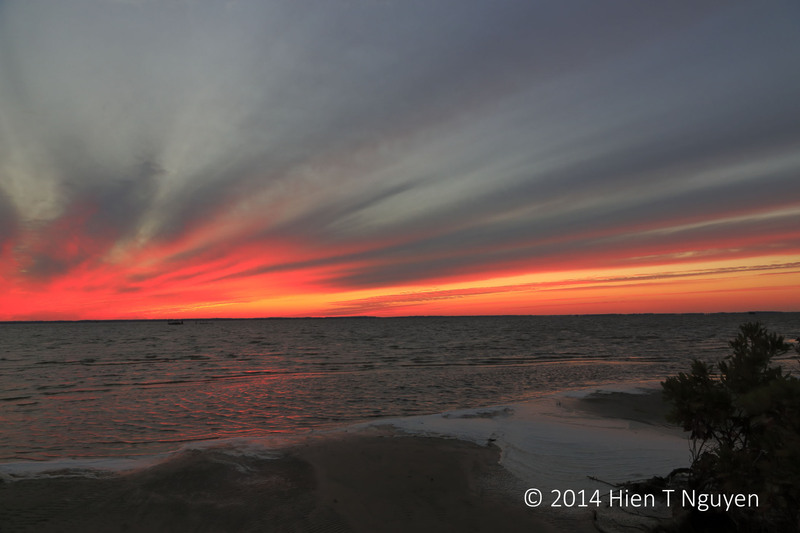 After the above shot, I turned around and saw a gorgeous sunset behind a row of beach houses. We got back to the car and drove quickly to the other side of the narrow island, looking inland. 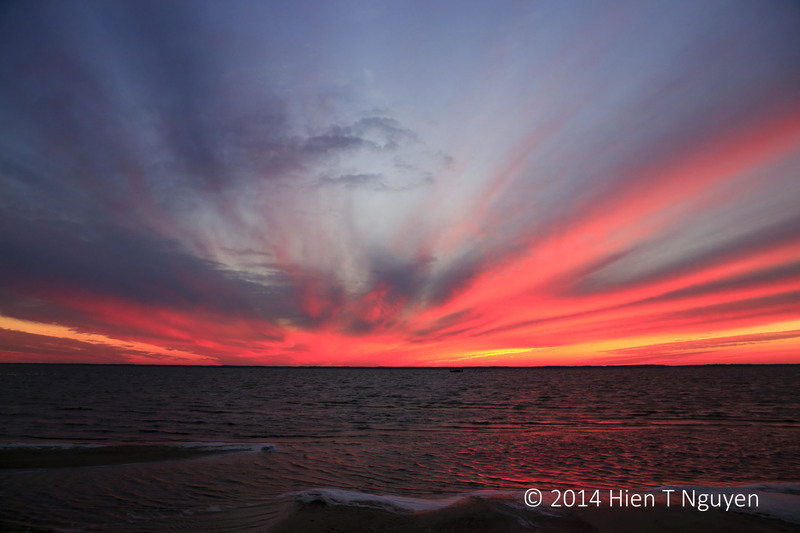 There the sunset was resplendent in its glorious colors. 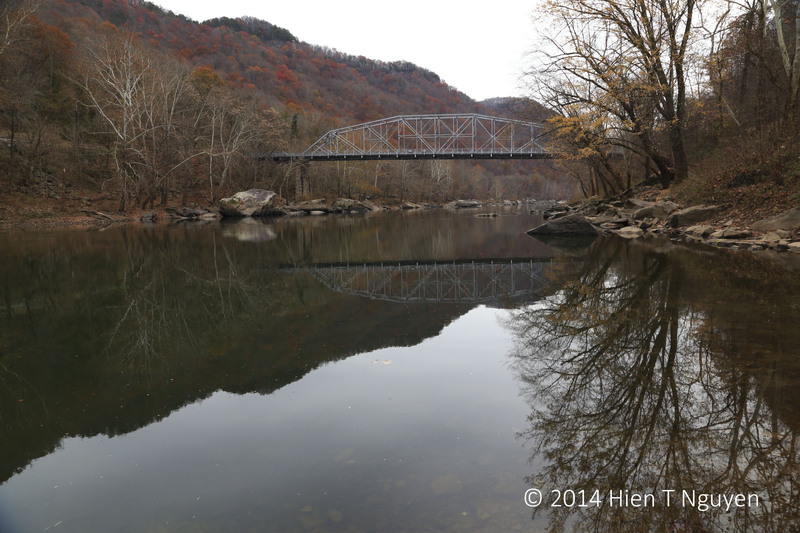 From the bridge I showed in my previous post, we drove down to the bottom of New River Gorge. There was another, much smaller bridge crossing the New River. 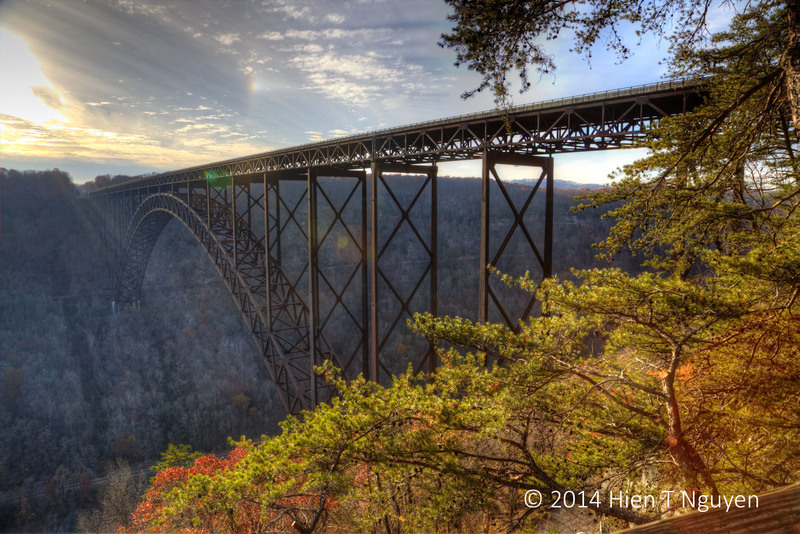 From the center of that bridge, I took the following photo of the New River Gorge Bridge. As you can see, the bridge is very high, at 876 ft or 267 m above the river. It is one of the highest bridges in the world. 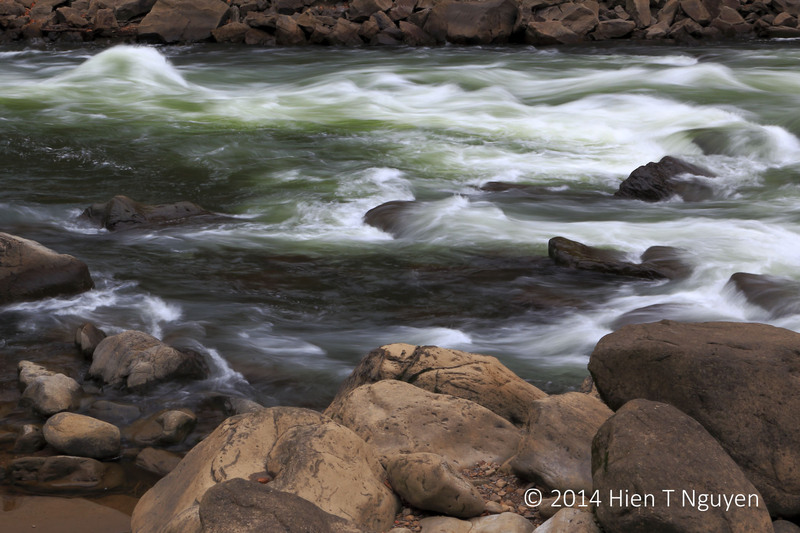 In the above photo, you can see some whitewater at the place where Wolf Creek empties into the New River. Wolf Creek has one major fall which is 15 ft high, but to get there involved a steep climb. 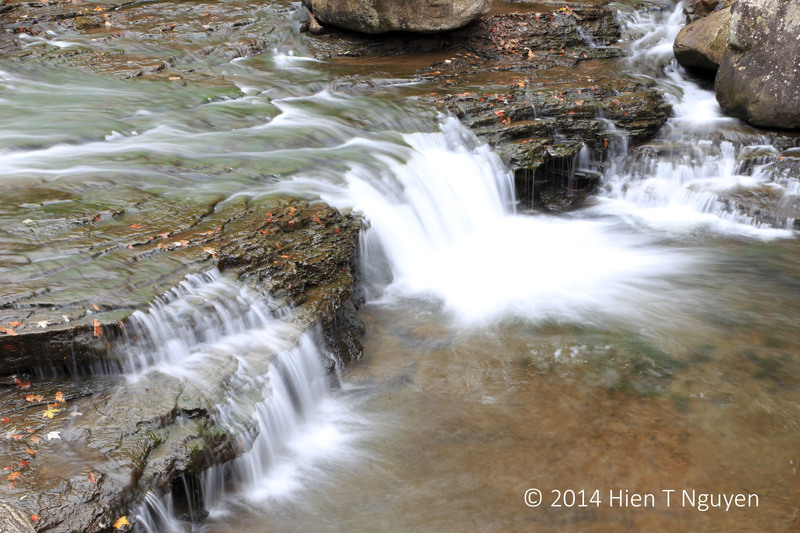 I only managed to take a shot at one of the many mini falls along Wolf Creek. Two weeks ago, I retired from my job. As soon as things settled down a little bit, we took a road trip. We drove to West Virginia first, and, early one morning in Fayetteville, WV, I took the following photo which is my submission to this week’s photo challenge. 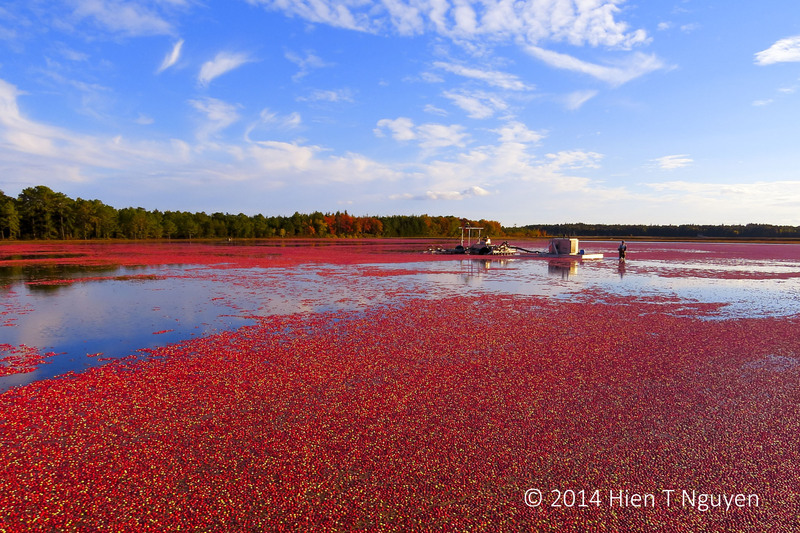 This happened to be the day when severe snow storms fell in the Northeast. The sky was bleak to say the least, but snow had not yet fallen where we were. 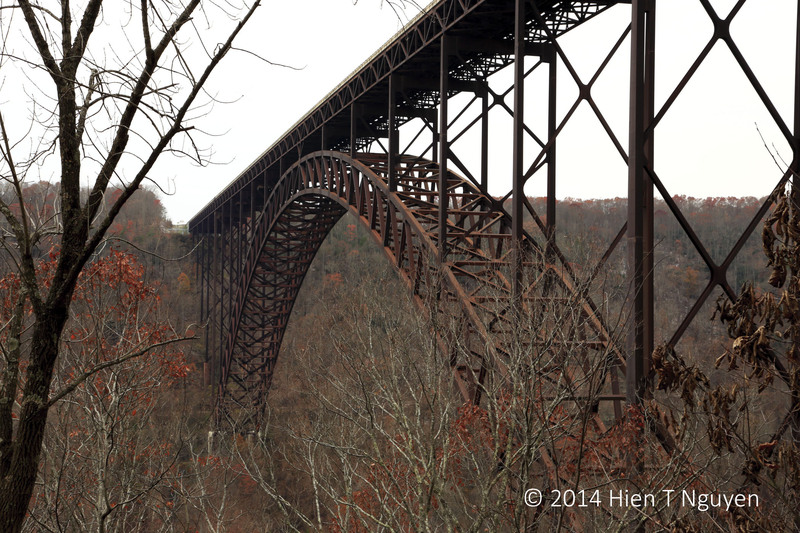 The New River Gorge bridge stood as strong as ever. From 1977 to 2003, this steel single-span arch bridge had the longest span in the world at 1,699 ft or 518 m. The total length of the bridge is 3,030 ft or 924 m.
When I first saw American Coots at the John Heinz National Wildlife Refuge, they were swimming in a big pond with many ducks, and I thought they were another kind of ducks. 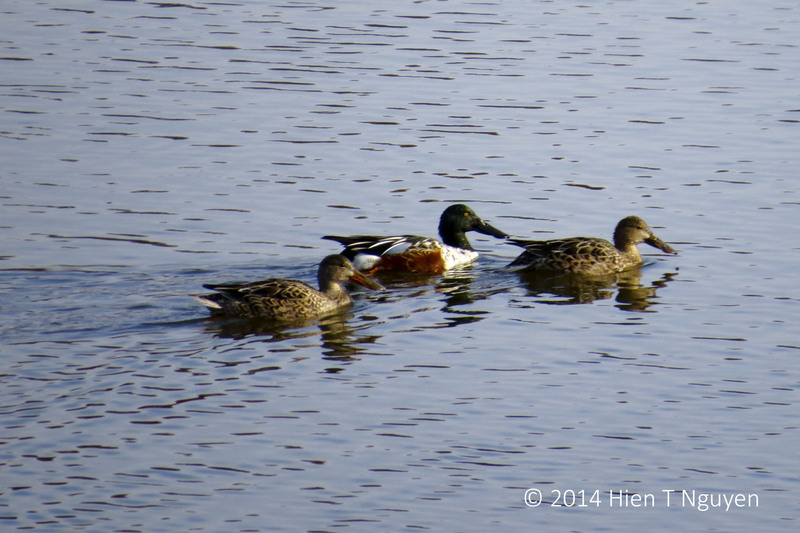 Now, I’ve learned that they are not ducks since they don’t have webbed feet. 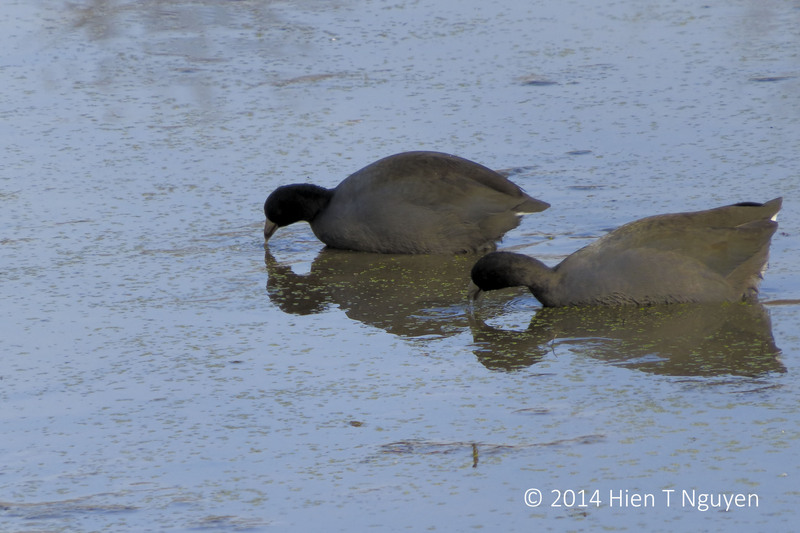 Instead, their feet have lobes, and they are often called marsh hens or mud hens. With their dark gray colors and white bills, they are not the most handsome birds, but they are what they are, another interesting creation of nature. 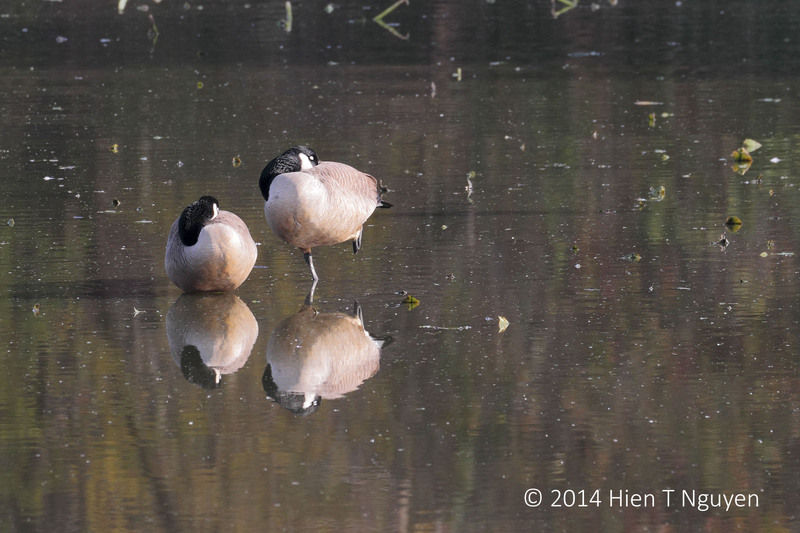 Pictured below are a pair of Canada geese sleeping at the John Heinz National Wildlife Refuge. 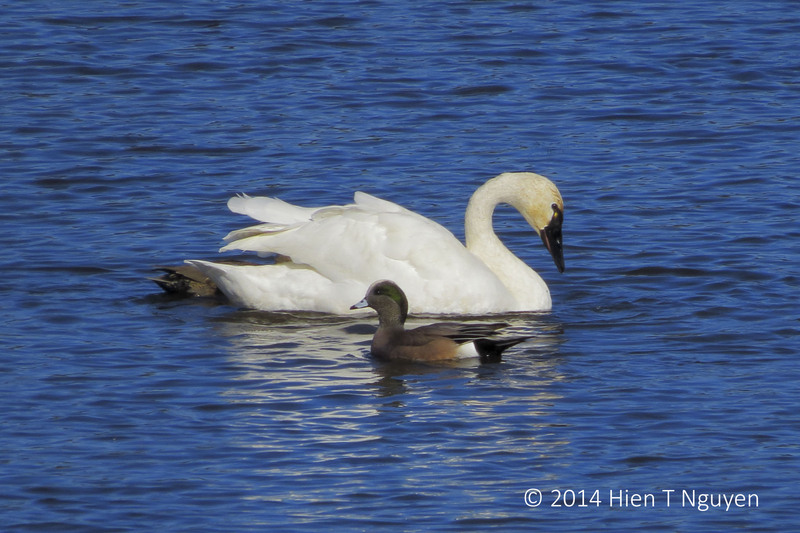 The male goose was balanced perfectly on one foot to preserve body heat, and to stand guard over his female companion. 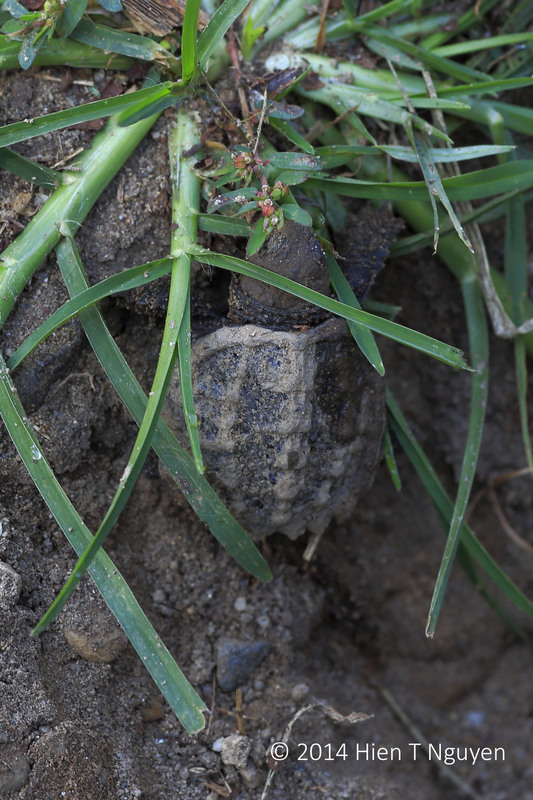 I am not positive, but I think he slept with one eye open. 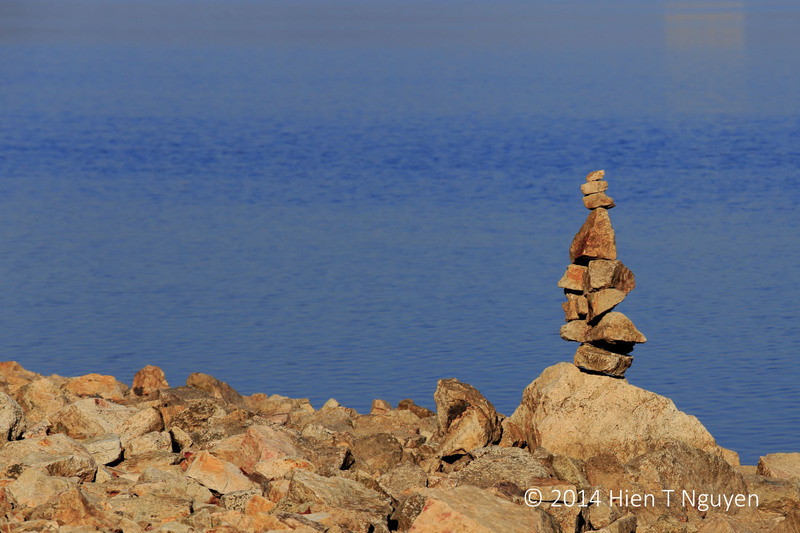 The following rock sculpture I saw today at Round Valley Reservoir looked like the sculptor himself, contemplating the pile of rocks at his feet, thinking how he might use them to create another balancing wonder. In any case, this is my second entry for the minimalist photo challenge. 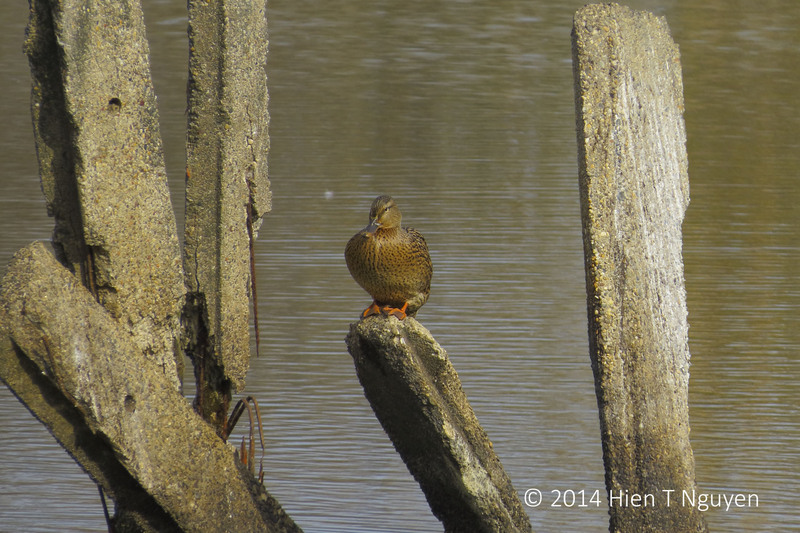 Today I saw this female teal at the John Heinz National Wildlife Refuge. 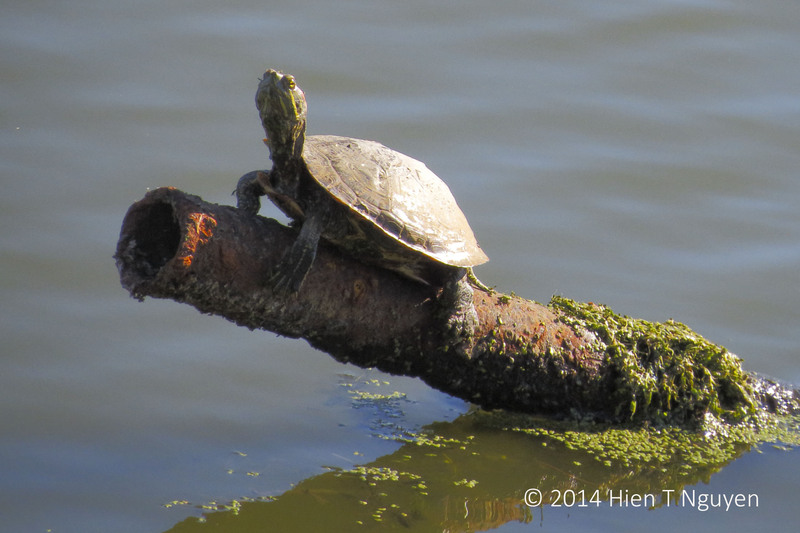 She was resting, perched on the remnants of some jetty. I thought she can be a nice entry to this weekly photo challenge.